Composting is a microbial process that converts waste from your kitchen and yard into a nutrient-rich soil amendment or mulch. You can compost organic material including fruit and vegetable peelings, grass clippings and leaves. Gardeners have used compost for centuries to improve their soil and to supply essential nutrients for plant growth. Many of us understand what we should compost, but we sometimes get confusing information about what we should NOT compost. Composting is a microbial process and microbes – also called microor-ganisms – will not decompose synthetic products such as plastics or glass. 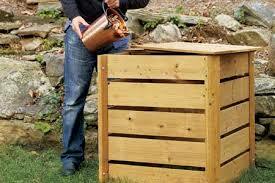 Home composting systems typically don’t reach high enough temperatures to break down meat, dairy, grease and oil. These materials can also attract critters to your compost bin and cause foul odors. Feces from pets may carry pathogens that could cause health problems. Large pieces of wood do not compost quickly and require a lot of energy to decompose, so wood should be chipped or shredded and used minimally. Organic materials that can be added to enhance the nutritive value of compost include blood and bone meal, cotton seed meal and aquatic plants. Compost loosens and aerates soil and improves water and nutrient retention. Adding 1-2 inches of compost to the top 6-8 inches of your garden improves soil structure over time, making the soil easer to work while creating a better environment for plant growth. Compost is beneficial to a variety of soil types. It improves drainage and aeration in heavy clay soils and increases the moisture-holding capacity of sandy soils. Adding compost to your soil will attract beneficial organisms such as earthworms and microorganisms that break down organic matter naturally. Compost also improves seeding, plant emergence and water infiltration by reducing the potential for soiling crusting. Adding 6-8 inches of compost to garden beds suppresses weeds by blocking light to the soil surface. The mulch will decompose and add organic matter to the soil. Compost also reduces the potential for erosion by protecting the soil surface from wind and hard rain. 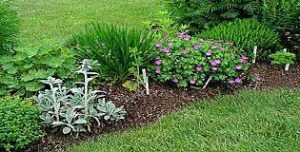 Using compost as mulch reduces moisture loss. Top-dress your lawn with compost to conserve moisture and add organic matter. 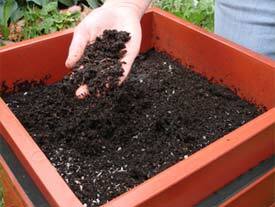 Use compost in window boxes and container gardens where rapid moisture loss is a factor. Compost may also keep soils cooler in the summer and warmer in the winter. Choose a place in your yard where your bin is easily accessible but not an eyesore. Some people incorporate their bin into the design of their landscape and plant their garden right around the bin! Select a spot where your bins gets some sun and heats up your pile. Locating your bin in full sun will heat up the compost pile faster but will dry it out more often, requiring periodic watering. Some shade will prevent this. Good drainage and accessibility is important for your compost bin. You should have enough room around the bin to allow you to turn the compost and a water source nearby in case you need to add moisture. Think about being able to access your bin year-round so you can continue composting in the winter. Start your pile with a 6-inch layer of brown materials, such as twigs and/or cornstalks. This will help elevate your pile and allow air to circulate at the base of the pile. Then alternate layers of brown materials and green materials. Add a few layers of garden soil or finished compost, which contain the micro-organisms required to speed up decomposition. Add a little water to dampen the pile, and you are on your way! 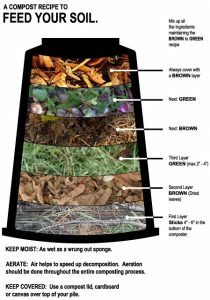 As your compost pile begins the decomposition process, the temperature of the pile will begin to rise, especially in the center. A well-built pile may reach temperatures of 130°-160° F in just a few days. The pile will begin to cool in four to five days, and a depression may appear in the middle of the pile. At this point, it is time to turn the pile. Use a garden fork and turn the outside of the pile inward. Steam may rise from the pile – this is a sign that the decomposition process is working! If the pile is dry, add a small amount of water. If it is too wet, add some dry materials such as dry leaves or cornstalks. Cover the pile with a layer of brown materials, soil or compost (to ensure any food scraps are buried), and it will start to re-heat. Turn your pile on a regular basis – about once a week. Doing so will speed up the decomposition process, giving you finished compost sooner. Under warm conditions, a well-tended compost pile will be finished and ready for use in about 2-4 months. Left untended, a bin may take a year to decompose. 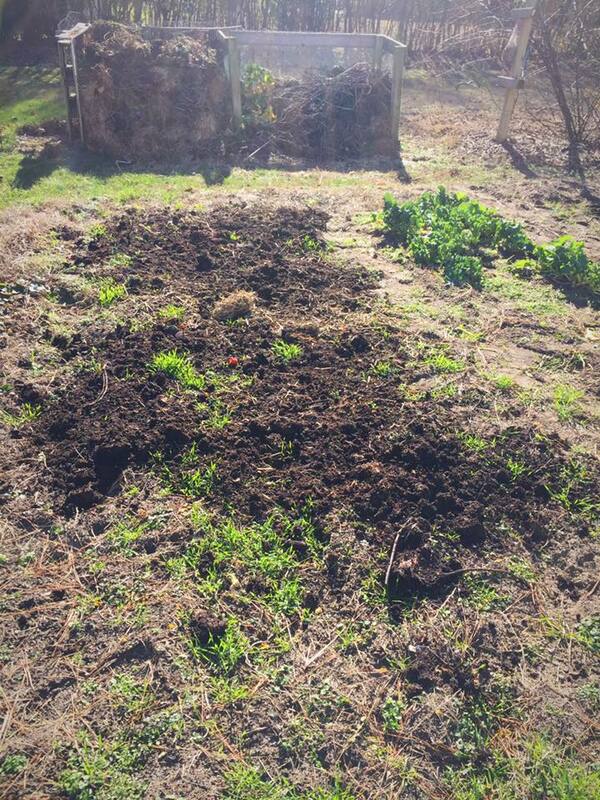 A finished compost pile is about half its original size, is loose, dark and crumbly, and smells good – like fresh soil. None of the materials that went into the compost pile should be identifiable. Another sign that your pile is fully composted and ready for use is when it no longer heats up. There are four basic ingredients for good compost: carbon, nitrogen, oxygen and moisture. 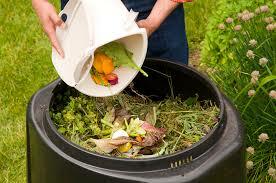 In the composting process, micro-organisms use carbon for energy and nitrogen to make proteins. For home composting, this translates to a proportion of three parts carbon (brown materials) to one part nitrogen (green materials). Given this “diet,” microorganisms can make short work of your compost. Oxygen and moisture are important for the health and activity of the microorganisms. An active compost pile – one in which microorganisms are actively converting organic materials to compost – has good air circulation and moisture consistency of a wrung-out sponge. If a pile is compacted or too wet or too dry, microorganisms will cease their work and the pile will become passive. Air circulation can be accomplished though turning your pile with a garden fork. Do not allow the pile to become soggy as this causes anaerobic conditions (meaning no air) and usually produces a foul smell. A pile can become too wet due to excess water from rain or from too much green material. This can be corrected by adding carbon (brown) material and by turning the pile to increase the oxygen level.